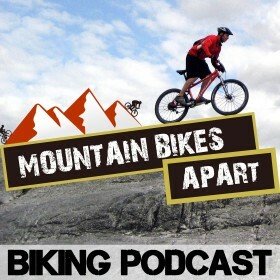 Guest Post by Rob, our Mountain Biking Australian. If you love mountain biking, then bring your bike with you when you visit Australia. The Land Down Under has some of the best trails you’ll find anywhere in the world. Mountain biking took off like a rocket in Australia during the lead-up to the Sydney 2000 Olympics, the inaugural year of its inclusion as an Olympic sport and hasn’t looked back since. Here are some of the best and easiest to get to mountain bike trails in Australia. Mountain Biking in Australia – There’s Blue Sky! The You Yangs may be a funny name for a state park, but there are some seriously great mountain bike trails there. Located just 25 miles or so from the heart of Melbourne and accessible by public transportation, there is an amazing 30 miles of purpose-groomed mountain bike trails within the confines of the park. They include heart-stopping downhills, scenic single tracks and everything else a mountain bike enthusiast of any level of ability could want. You haven’t really visited Australia until you’ve visited an Australian country town. Dwellingup, just an hour and a half’s drive from Perth is a quintessential Australian country town in WA’s wine country. What has this got to do with mountain biking? Dwellingup just happens to be on the Munda Biddi mountain bike trail. Not yet completed as of this writing, the trail will eventually extend all the way to Albany. The Dwellingup to Collie section of the trail is already being called one of the most scenic and enjoyable in the country. Take the train from Sydney station to the Blue Mountains and within a couple of hours you will be in mountain bike heaven. There are hundreds of miles of awesome trails throughout the Blue Mountains. Some of them are perfect for casual riding between the charming villages and towns sprinkled throughout the Blue Mountains and others are technical trails for experts only. There’s even one trail that takes you downhill from Katoomba for a distance of about 20 miles through stunning countryside. Then you can just hop on a train and get back up to Katoomba well before dark. In Australia you don’t need to avoid the water – you actually need cooled down! Just hop on your bike in Hobart and pedal to Mount Wellington. Once you’re there (and it doesn’t take long), you’ll have your pick of great mountain bike trails. For an easy but stunningly scenic family ride, take the Pipeline Track. Experienced riders looking for a challenge find it on the North-South Track. Not only for experts, there is something for everyone on the North-South Track. These are just two examples of what you’ll find almost within Hobart city limits. When you get to Wellington Park, pick up a trail map and discover even more. Located in Northern Queensland, Atherton is a little off the beaten track, but still easy to get to from Cairns. A quaint and friendly tourist village in the Cairns hinterlands, mountain bike fanatics in Atherton have meticulously mapped out well over a hundred miles of mountain bike trails in and around the village. These include fire trails to the summits of local mountains, single tracks of all levels of difficulty and cruisy country rides. While arguably not worth visiting just for the mountain biking, Atherton and environs will take you away from the well-worn tourist track and into the heart of the real tropical North Queensland hinterlands. You are likely to come away saying that your mountain bike adventure in Atherton was the highlight of your Queensland vacation. Rob writes about popular things to do and see in Australia. If planning cycling holiday in Australia check out our Blue Mountains accommodation or if travelling a little further south find some great Hobart Accommodation on ‘Book it Now’ both locations have access to some of Australia’s best cycling trails. I love the Oaks Fire Trail in the Blueies. Starts at Woodford station with really fast but rutted fire road, takes in some stunning views along the way and finishes off with a bit of smashing singletrack over rocks, a river crossing and a lung busting climb. Then it’s time for a few schhoners in Glenbrook before you jump on the train home, or maybe back to the top?